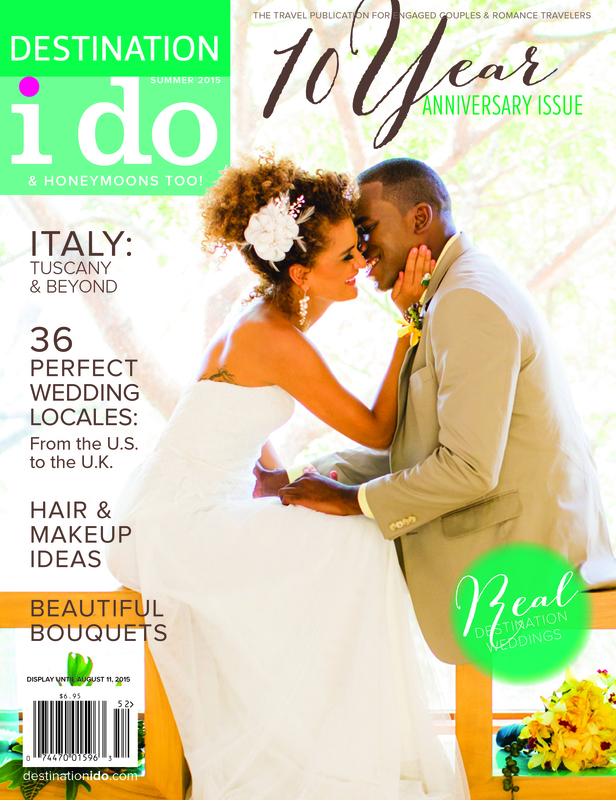 Destination I Do’s 10 Year Anniversary issue! Our Summer 2015 cover our couple leaning in close on location at the Four Seasons Costa Rica at Peninsula Papagayo. Photo shoot designed by Brian Worley of YourBASH! and Aimee Monihan of Tropical Occasions. Photography by Beautiful Day Photography. 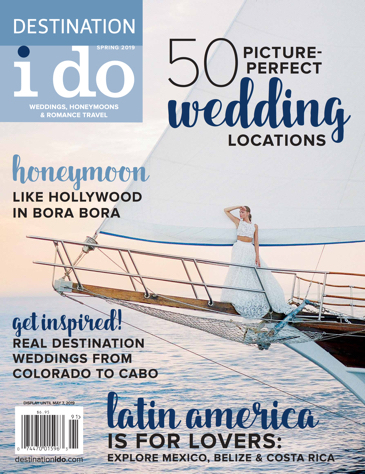 Also in this issue are much-loved real-life destination weddings and “Perfect Pairings” with hair, makeup and dress combinations in Ask the Expert. Discover destination wedding hot spots in our Haute Hills, Discerning Destinations and Ultimate Opulence features. Cap-it all off with stunning highlights on Bali and Italy.